When I moved in, the water was very slow to drain out of the bathtub. I had the super snake it, and he caught a huge wad of hair. I promised that I would get some kind of hair catcher for the drain. I used two different ones this past year, but come December, the water suddenly didn’t drain as quickly as it should. I asked him to snake the drain again last week, and he grabbed a small clump of hair. 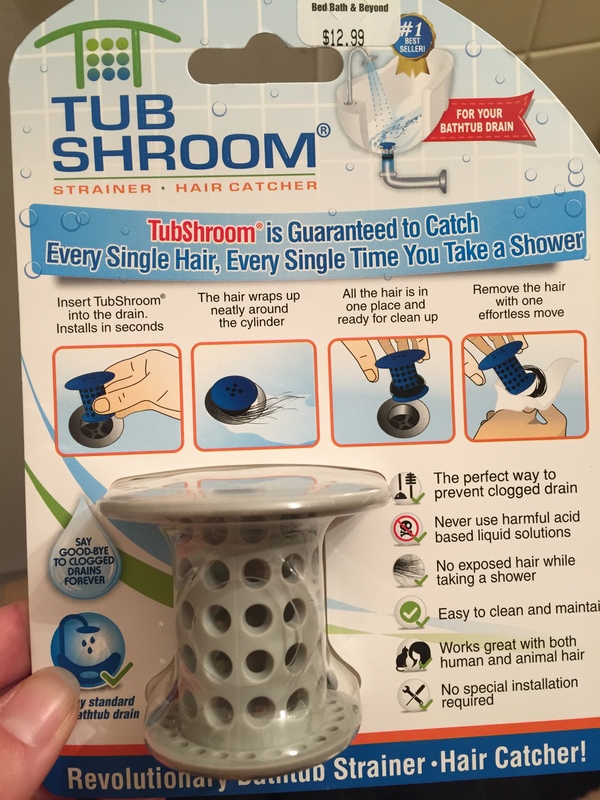 Again, I promised that I would get a better hair catcher for the drain. 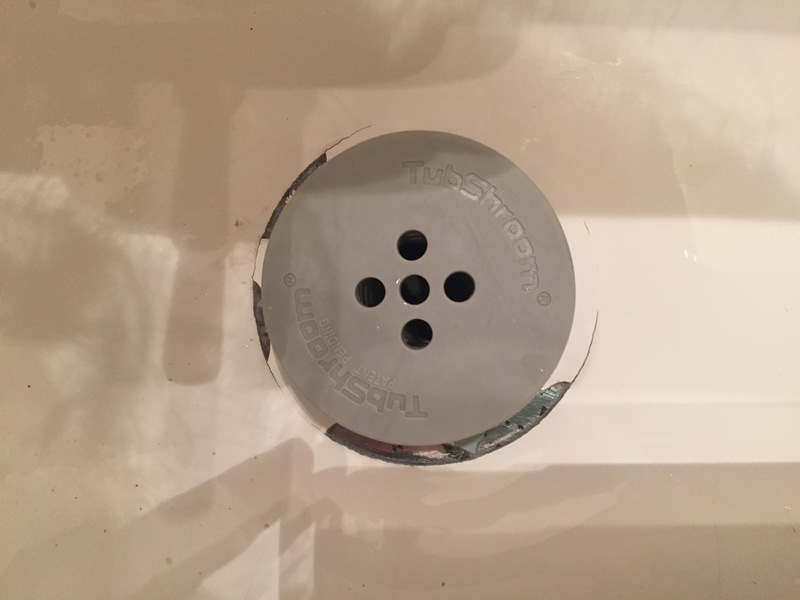 I had seen these funky drain catchers in two of my friends’ bathrooms, and wondered how I missed the memo! 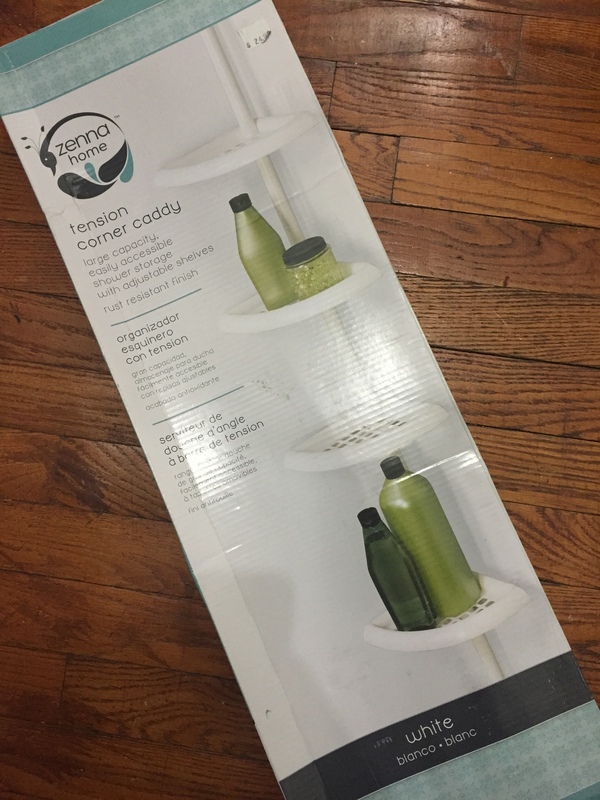 Bed Bath and Beyond sells them, so I grabbed a 20% off coupon and picked one up. I chose grey instead of white, since I was afraid that the white would discolor more than the grey would. It works pretty well, though I think my drain is slightly too small for it. 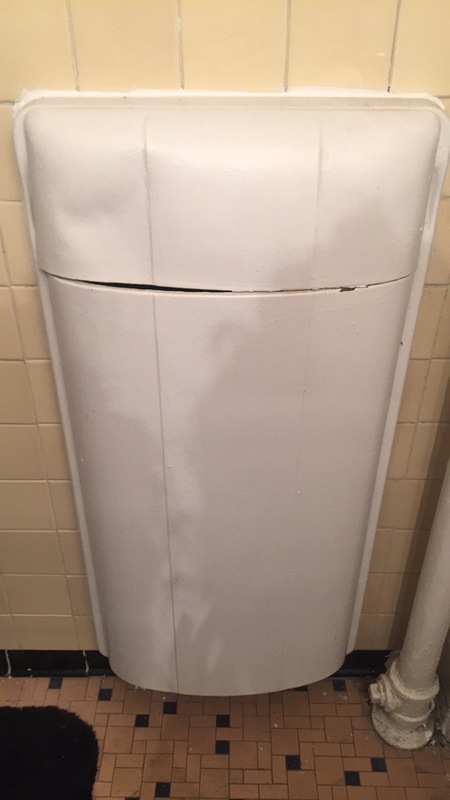 As more hair collects throughout the shower, the water starts to back up. I’ll have to report back a year from now if it keeps the pipes clear from hair! 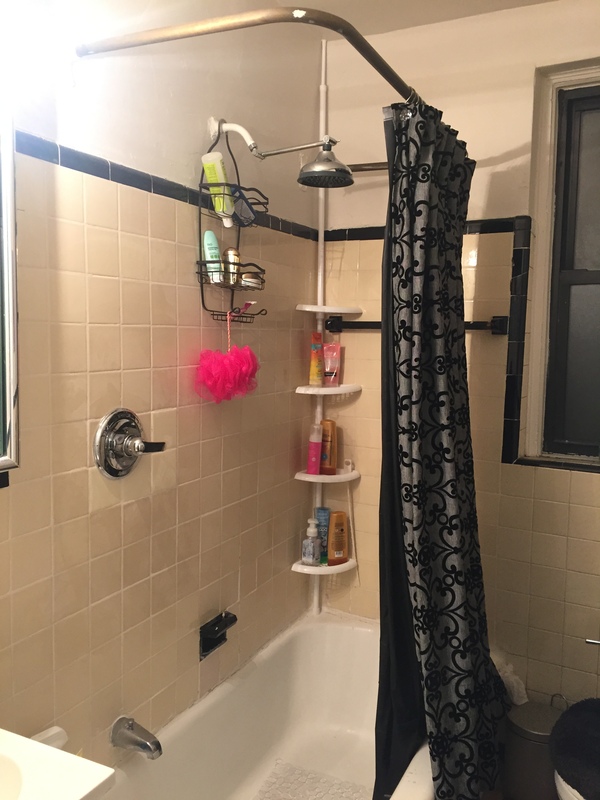 I believe my apartment’s bathroom is original, which means it’s from the late forties. 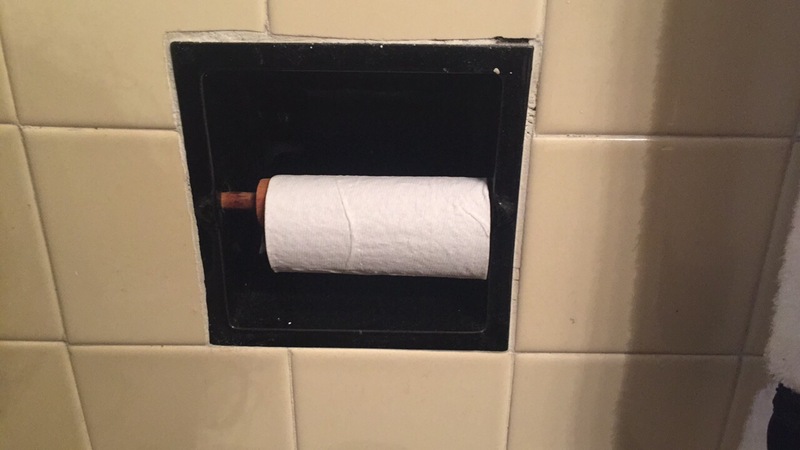 This also means some things don’t work in the modern age, such as the built-in toilet paper roll holder. 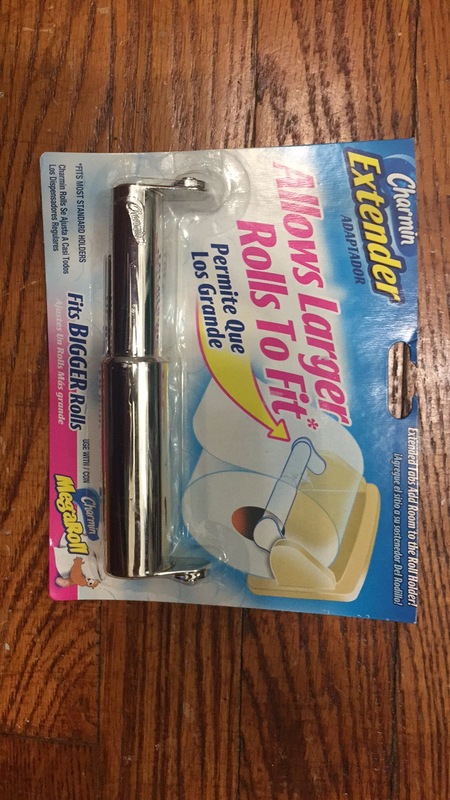 Today’s rolls are larger than they were, and brand new rolls are squished in so tight that they can’t move. 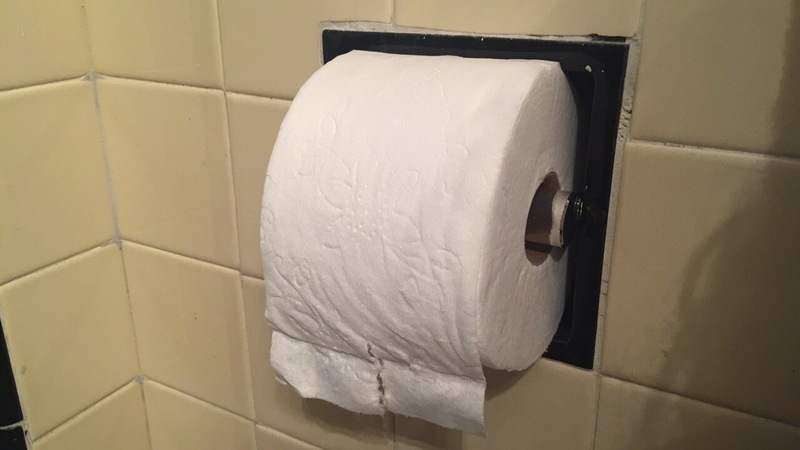 I needed a toilet paper roll extender! I swear I had looked for them in stores and online when I first moved in, but couldn’t find any. It came up in conversation with some friends the other day that I needed one and couldn’t find it. A few days later, I had a weird housewarming gift. 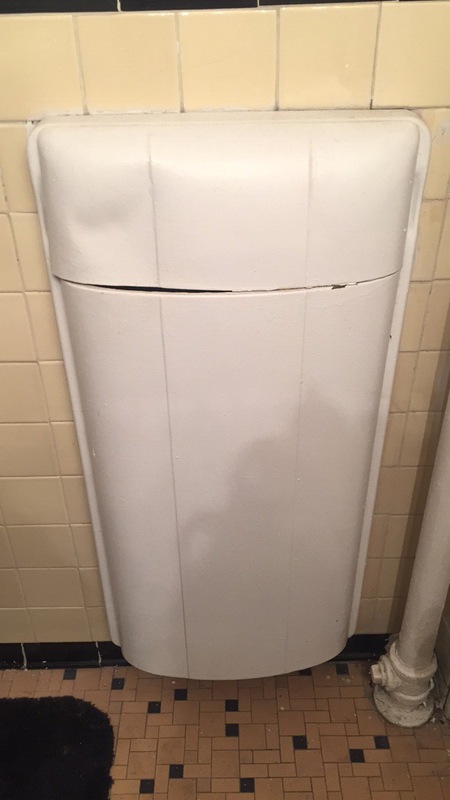 It was quite easy to install (remove the old one, put TP on the new one, and replace). It’s still not perfect, but much better than before! It only has to last a few years, because (spoiler alert) the bathroom will be redone at some point in the near future. After the incident, I asked the super for suggestions to prevent a reoccurrence. He suggested filling all the holes and gaps in the bathroom. 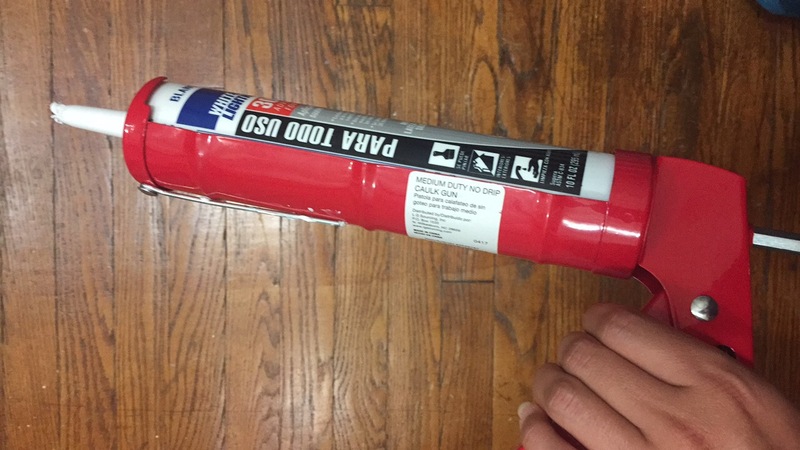 I asked about using caulk, and he said that should work. So off to Lowe’s I went! 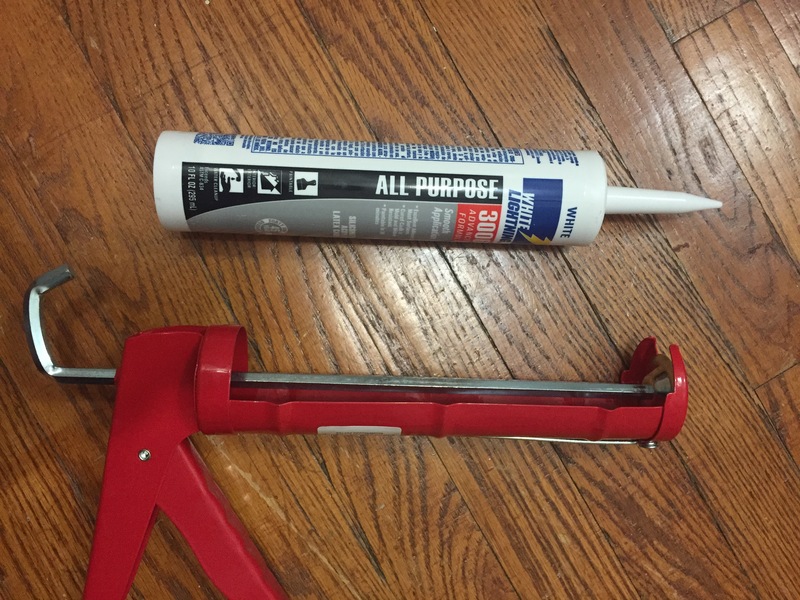 I got the fancy caulk gun that has a built in cut hole and spike (technical terms), and assembled them together. 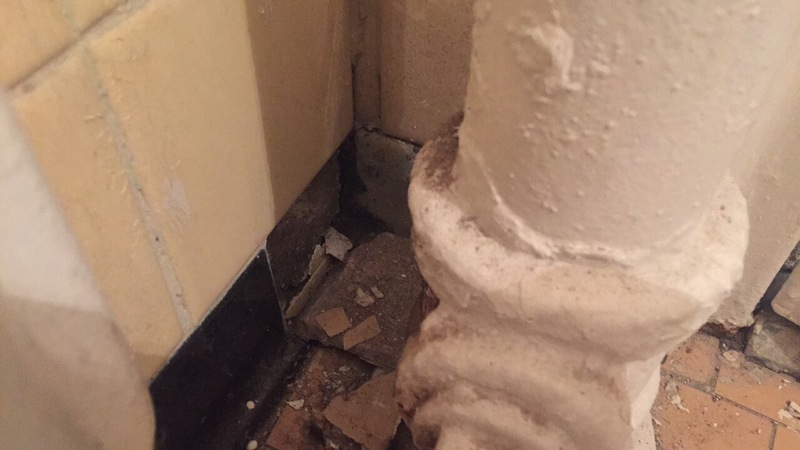 There weren’t many places in the bathroom that I felt that a large bug could sneak through, but I started in this corner where a wall tile had fallen. 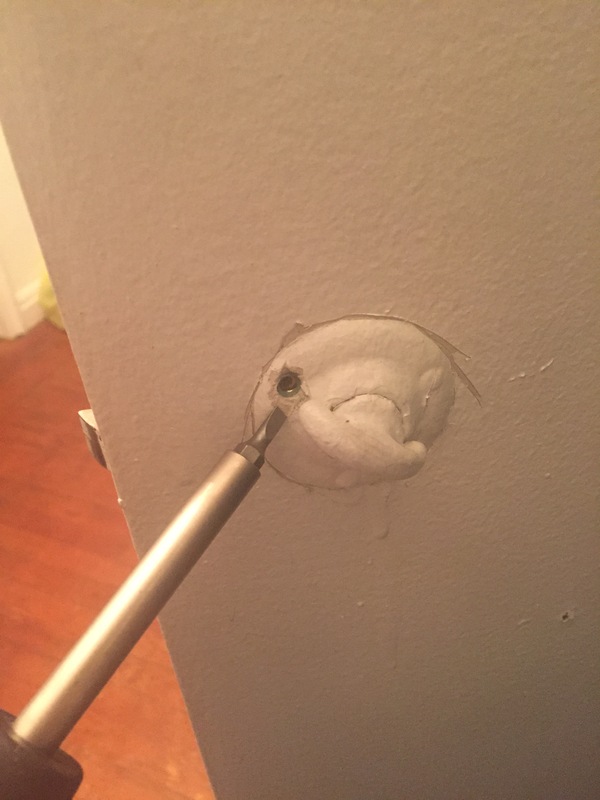 Globs of caulk later (and with the help of a few fingers), I felt confident that this corner has been plugged. I then turned my attention to the built-in laundry hamper. 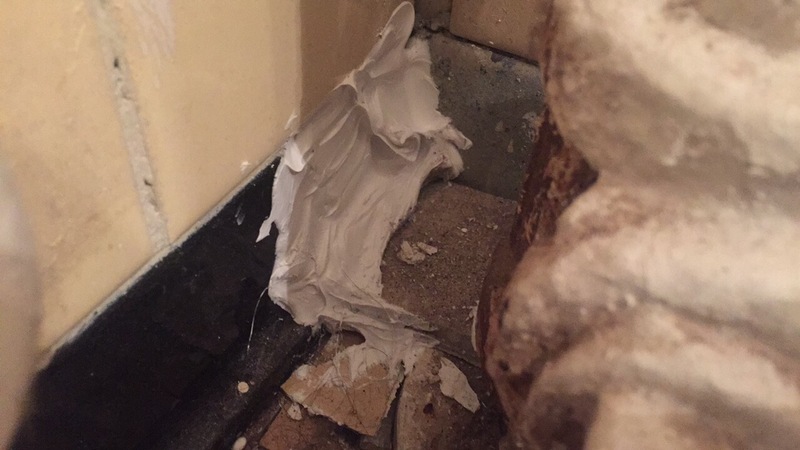 It seemed like there were some gaps between it and the wall, so it got a border of caulk. 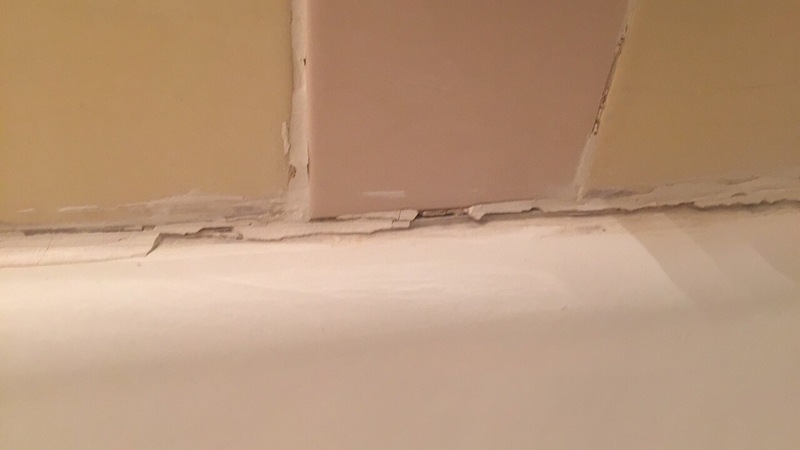 I got carried away with my new-found power, and caulked a little section of the shower. 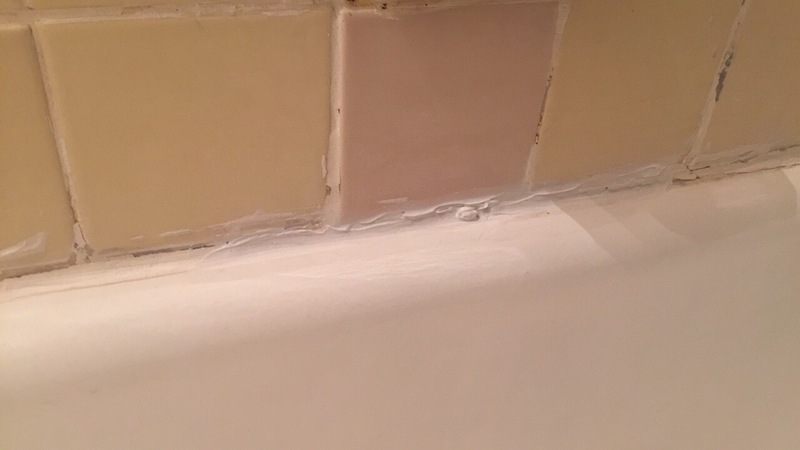 Not the prettiest job (and the old caulk should really be removed), but an improvement. Now just have to hope it keeps the creepy crawlies away! PS. Thanks to my friend for the post title! 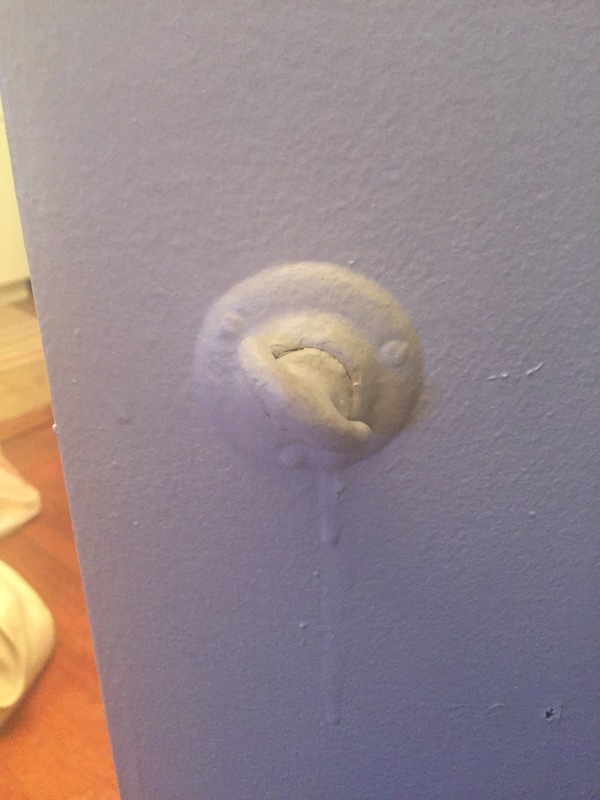 For a friend: TLDR, don’t paint the doorknobs! 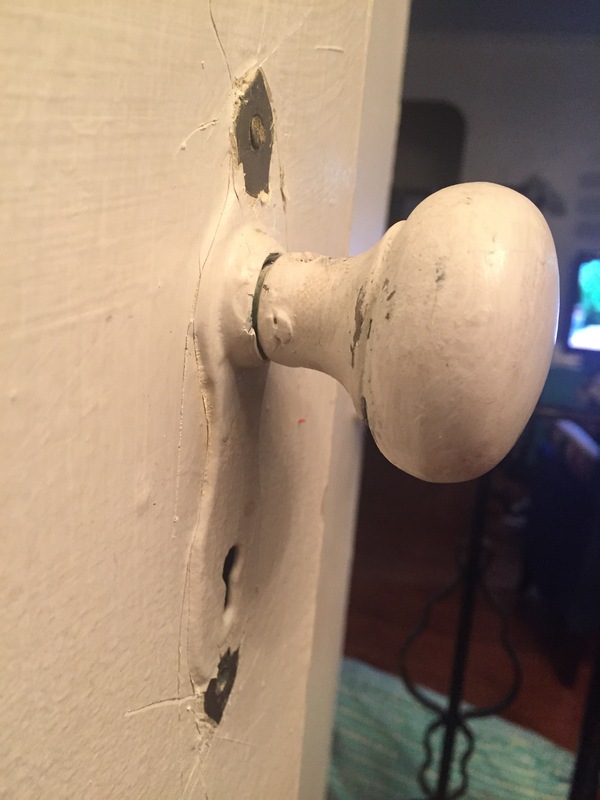 I alluded to the fact that the doorknobs in my apartment were painted with the walls and doors, and I decided to tackle them before I paint my apartment. There are only four doors (three closets and one bathroom), so I thought this would be quick and simple. Especially since this post made it seem so easy! And it’s chemical-free, which is always a plus in my book. …and the cute interior knob! Because there’s so much paint all over them, the doors don’t close and latch. 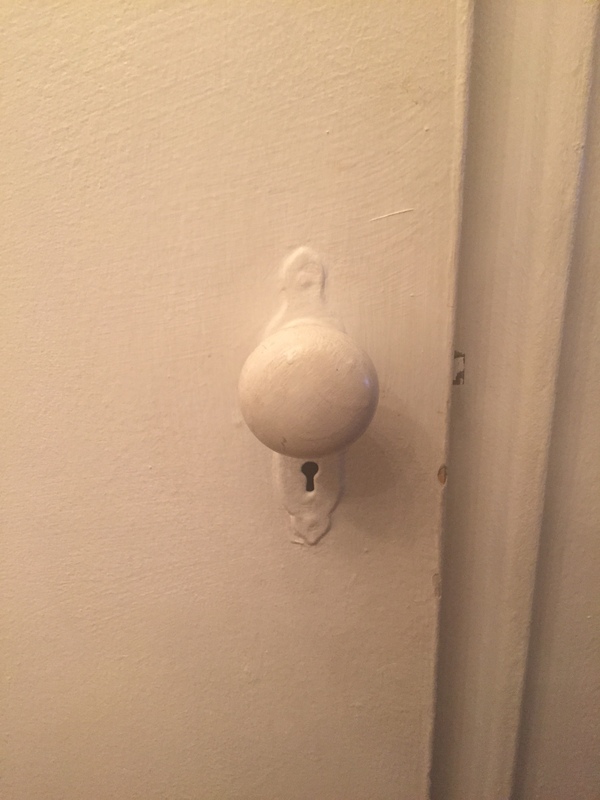 Only one knob out of the bunch is unpainted–the inside of the bathroom. It’s such a cool silver, I wanted the rest of the knobs to match! 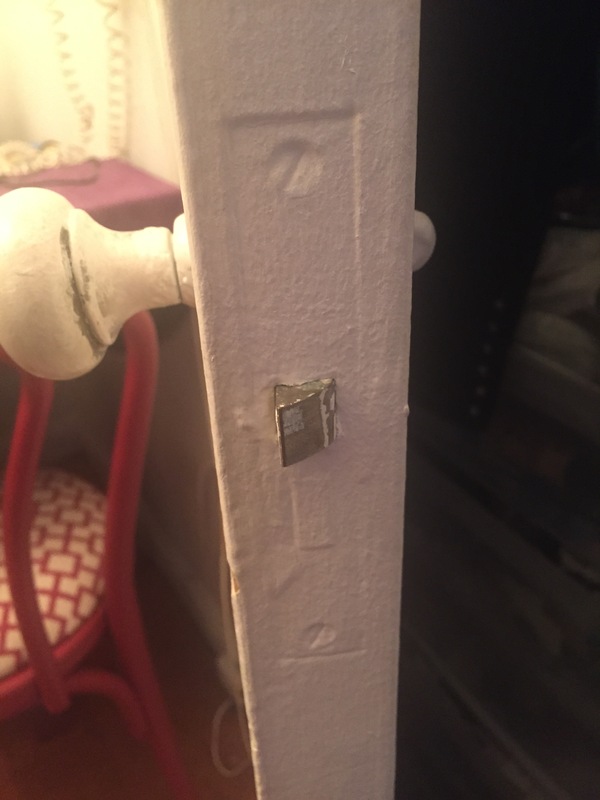 I started with chipping away at the paint around the screws on the interior knob. It was quite easy to remove the three screws on the inside! 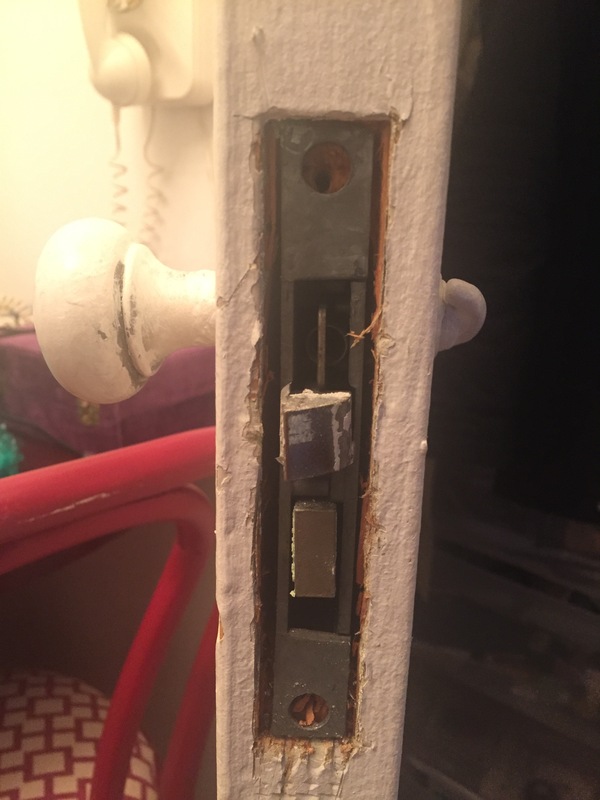 Then I attacked the latch, and removed that plate. It required some prying to get it free from the door. But then I got stuck on the front. 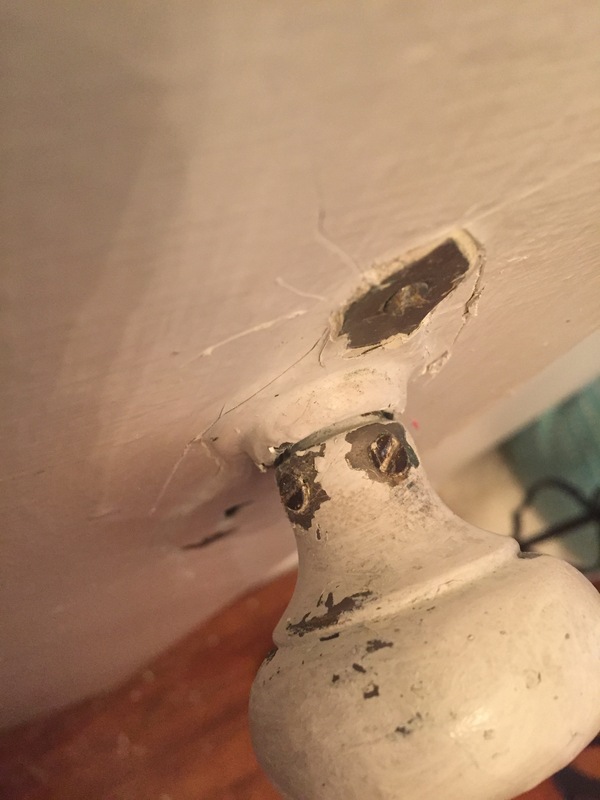 I was able to remove the bottom screw, but the top screw wouldn’t budge. 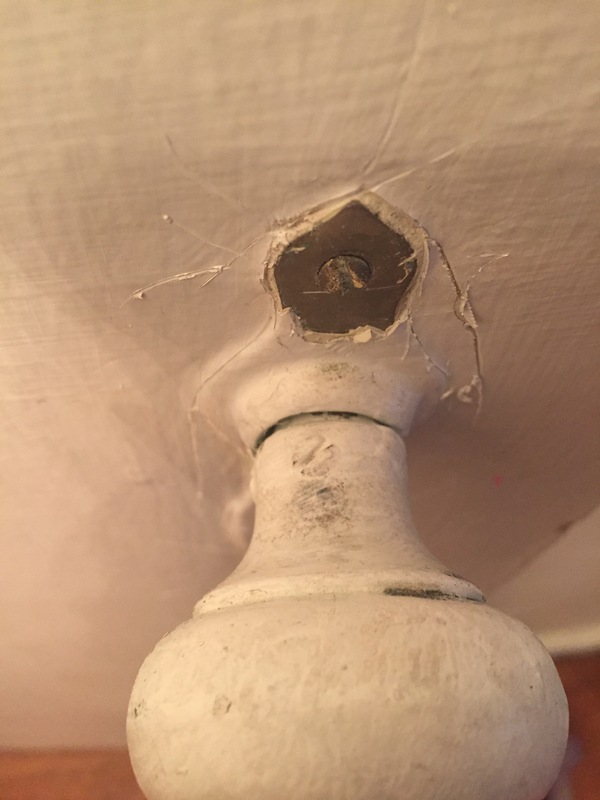 I moved on to the screws on the knob itself. 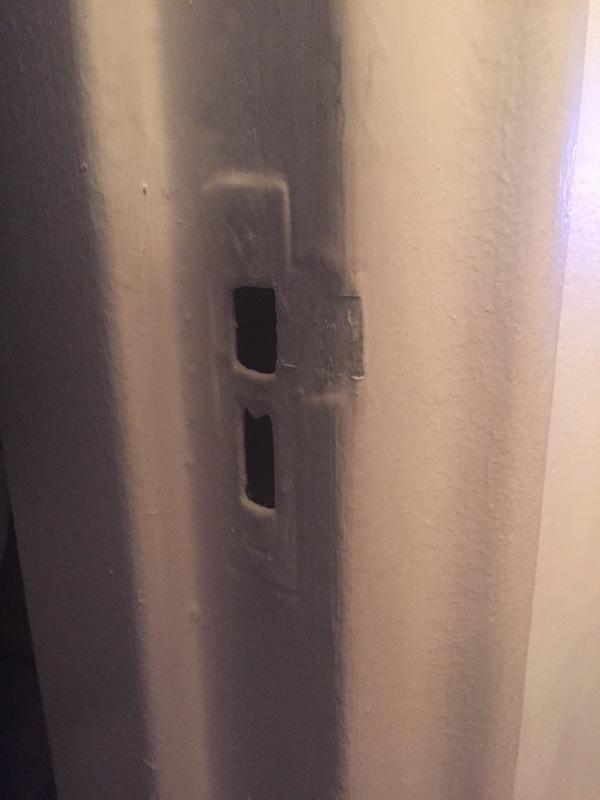 Again, chipping away the paint was easy, but these screws wouldn’t move either! So I’ve tried to remove one knob and failed. Maybe I’ll settle for using a chemical stripper after all.